The area of Transportation Engineering has a laboratory to support elective and requisite courses. It consists of a natural experimental area in multiple urban and rural highways of Puerto Rico where all phenomenon of traffic are given, including congested and non-congested traffic. 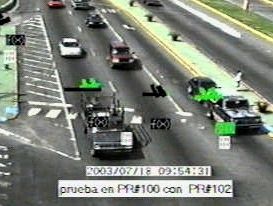 To characterize this phenomenon, the laboratory has video equipment to film the traffic operation in all kinds of roads. These videos are processed in the office to characterize the operation of the traffic in terms of flow, density, velocity, and other fundamental parameters. The laboratory has detection equipment based on the most advanced techniques for the processing of images to automate the phase of collecting traffic data necessary for the analysis and design of this area. In the area of transportation, the student will learn to use the computer programs for the design of pavements, operational analysis of express and intersections, traffic lights programming, and other aspects related to the urban transportation. The professors and undergraduate and graduate students participate in different projects related to transportation problems in Puerto Rico. 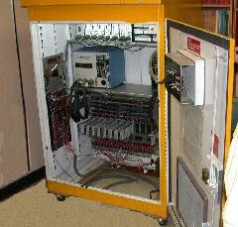 In this task, computer programs and the most modern techniques of this area are used.